At the end of June, the Glastonbury festival took place. As more people carry smart devices, from phones to wearable technology, the number of digital updates shared with embedded location information increases. Whilst there were over 600,000 tweets containing the word ‘Glastonbury’ during the festival, just 3,500 tweets were posted with coordinates that placed them at the festival. But more fun than a static heat map is to animate it enabling you to pause, zoom and switch between satellite and roadmap views. Click the button below to view the animation online. It is hosted on Microsoft Azure. WordPress doesn’t allow such fun here. For those interested in the technical details, the tweets were scraped into Python using the geocode option. The heat map was created using Google Maps heat map visualization (requires the visualization library). 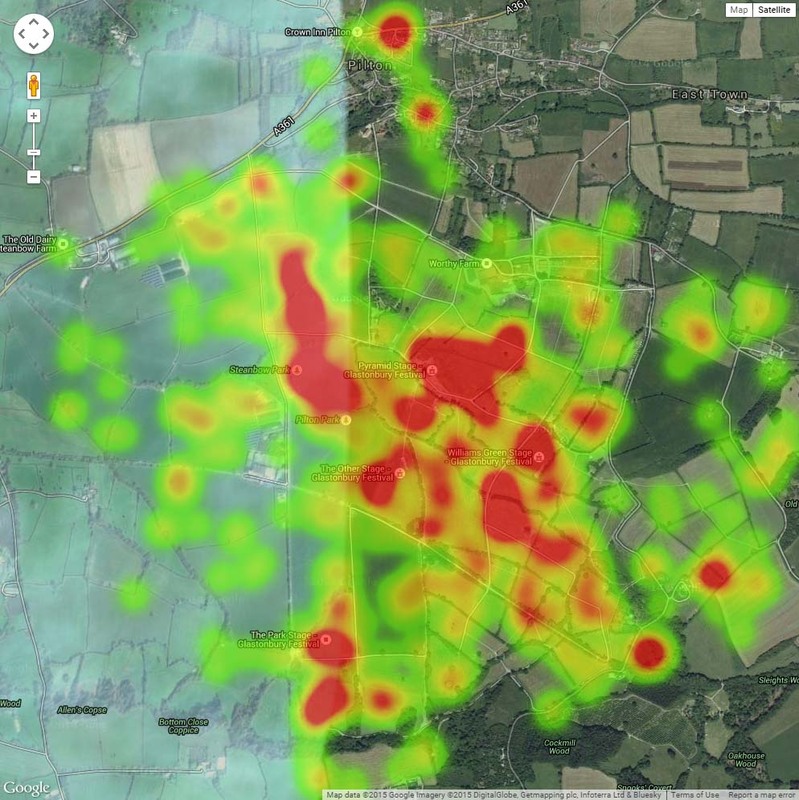 Had originally planned to use the Heatmap.js library but struggled to get it working.